Our friendly staff are always available to help you during your stay. Whether you need an hairdryer, directions or just want to have a nice chat. Just head over to the lobby where staff is available 24 hours everyday. 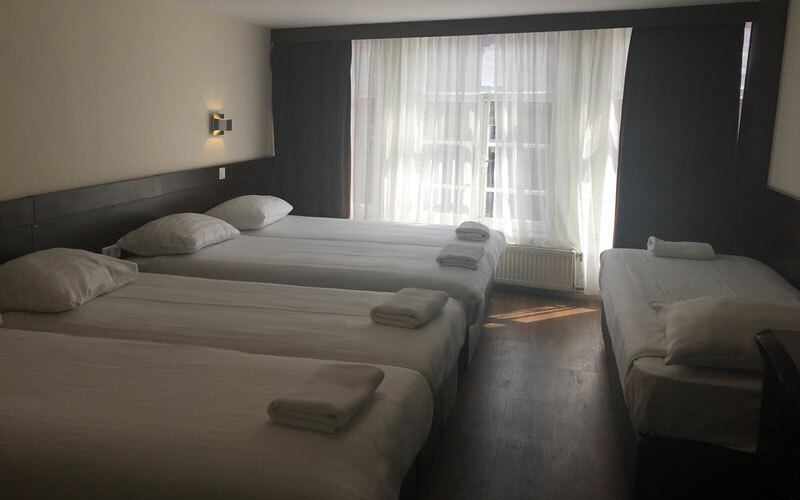 The hotel is located in the center of Amsterdam making it the perfect starting point of your sightseeing trip. 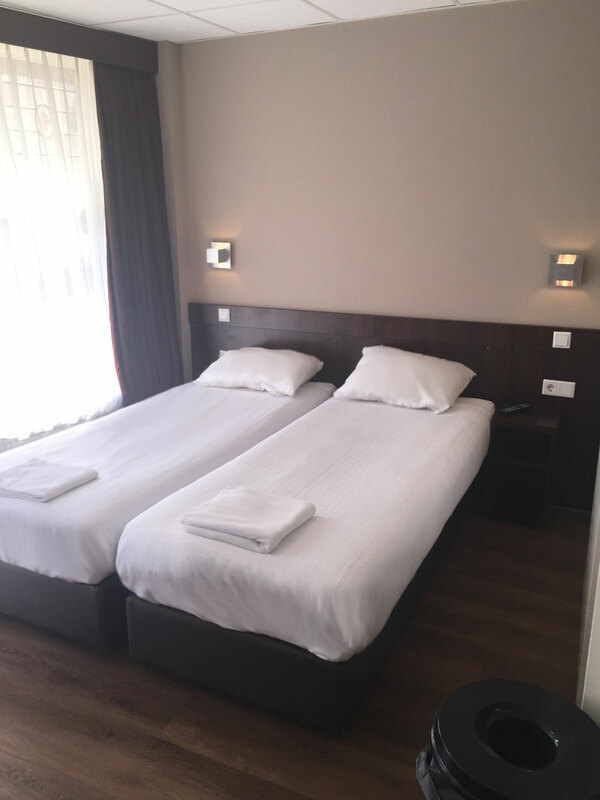 Every hotspot of Amsterdam is within walking distance and public transport is just meters away from Hotel Damrak Inn. 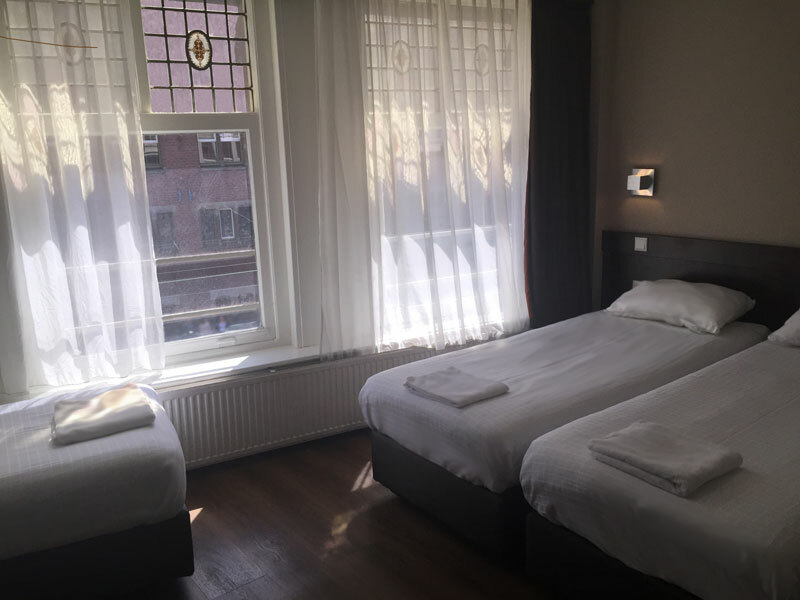 Damrak Inn counts five floors tall with a great view on the main street. Due to the historic nature of the building, no elevator is present. However the characteristic stairs mark the start of your experience in Amsterdam. 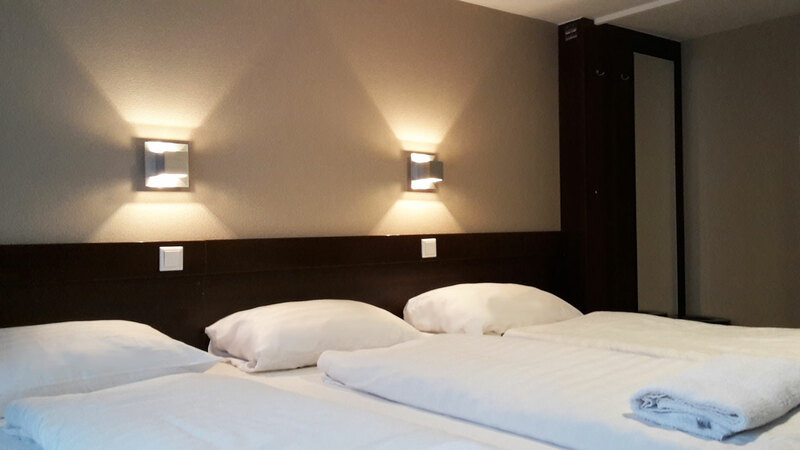 Damrak Inn provides a variety of rooms suited for your needs, whether you are travelling alone, with friends or with family. 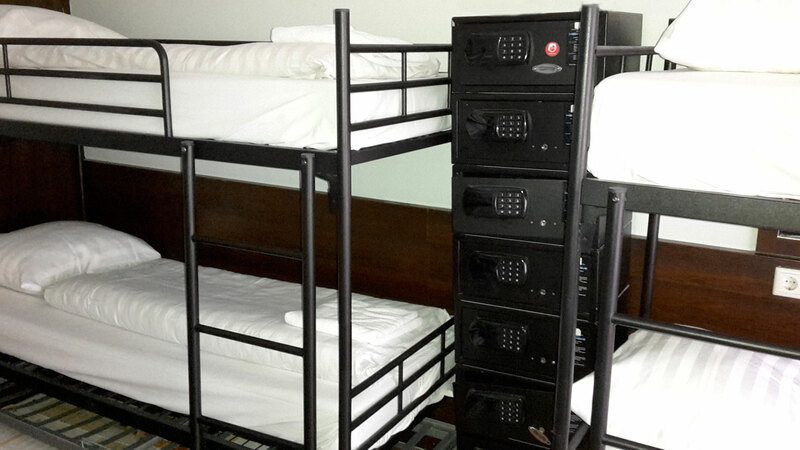 All rooms include Wi-Fi, electronic safes and cable TV. Additional appliances like hairdryers can be borrowed from the reception. Please read the following information and guidelines carefully for an optimal experience during your stay. 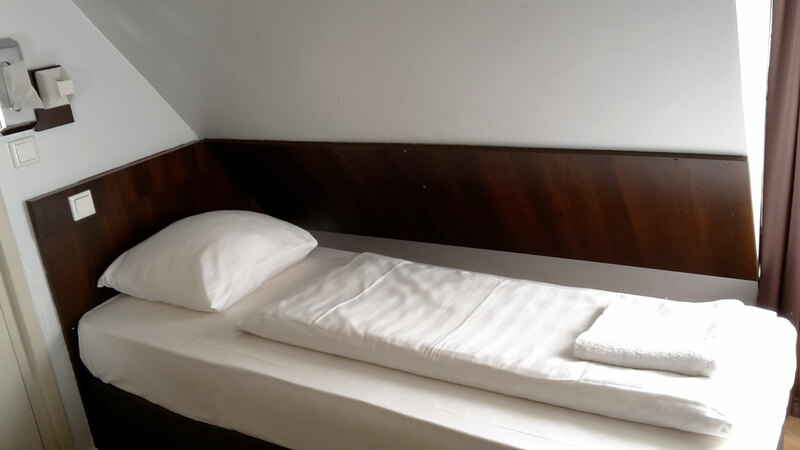 Booking online is easy and safe. Booking through our website allows you to use promo codes for additional discount on your bookings. Payment is done upon arrival. Accepted payment methods are cash, credit and debit cards. Please have your passport ready for identification. When arriving early, you can store your luggage in the storage room. Valet parking is available at reasonable rates. Let us know in advance as picking up your car may take up to 30 minutes. The door is open 24 hours a day so you can go out and come in anytime you want. To keep the place safe and clean, please avoid smoking and eating inside the hotel. When checking out, please leave your keycard to your room at the reception. You can use the storage room if you are not leaving Amsterdam yet. Cancellation fee depends on your booking. Please read the terms carefully. Standard booking: up to 2 nights of total booking if cancelled after 7 days before arrival date. Credit card is required to guarantee your booking and will be checked for validity. Use the promo code BOOKNOW to receive a discount on your booking!